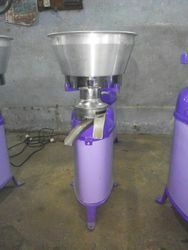 Manufacturer of a wide range of products which include milk separator, dump tank and butter churner. 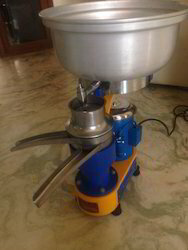 A Milk Separator is a centrifugal device that separates milk into cream and skimmed milk. Separation was commonly performed on farms in the past. Most farmers milked a few cows, usually by hand, and separated milk. Some of the skimmed milk was consumed while the rest was used to feed calves and pigs. Enough cream was saved to make butter, and the excess was sold. Used in various industries, our dump tanks are fabricated from best quality raw material, using innovative technology. The main purpose of these tanks is to store and / or transport bulk products from one place to another. 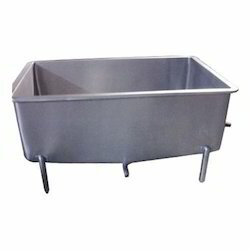 Having a cylindrical shape, these durable and weather resistant dump tanks have a conical bottom, top cover type with drain valve and is mounted on castor wheels, as per the requirements of our customers. We can offer these dump tanks in following specifications. Capacity 500 lts / 1000 lts / 2000 lts / 3000 lts.